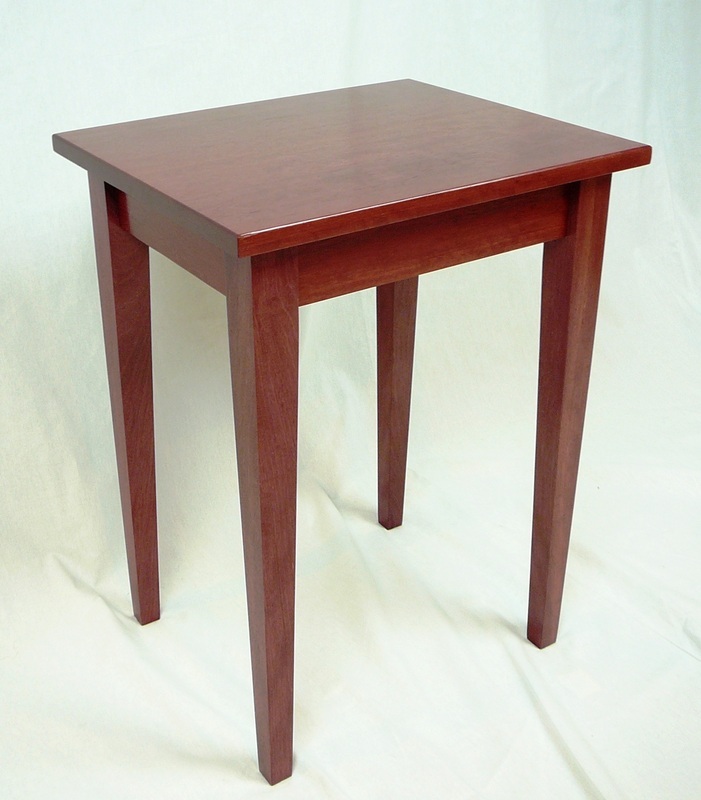 Below are some tables that we have designed and built. Each table is handmade from solid hardwood and given a clear finish, no stain here. These are just examples of what we have done in the past. If you would like a custom table of your own please contact us. 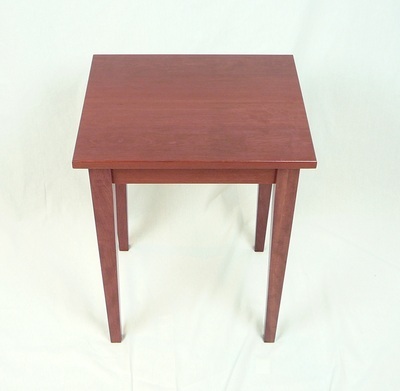 Prices will vary depending on size of table and type of wood, but typical start around $300. 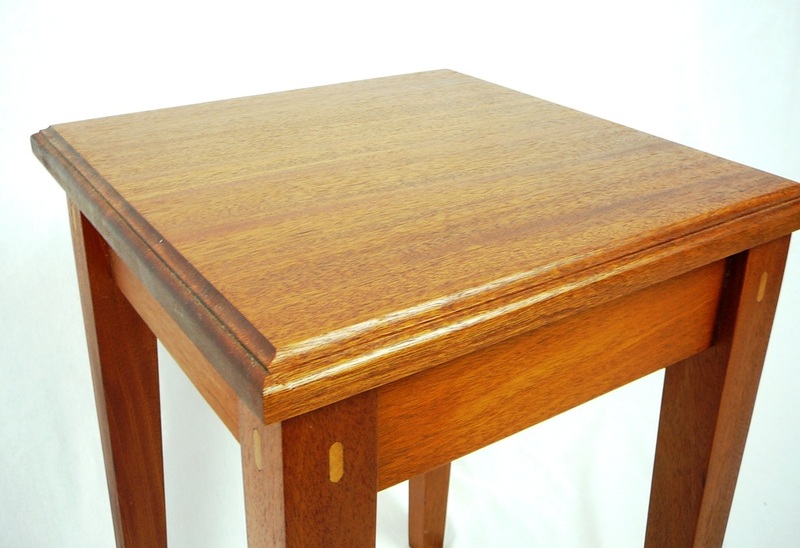 Remember that you are going to receive a solid wood table, given the best attention to detail, that will last you lifetime, and be a heirloom that will be treasured for generations. 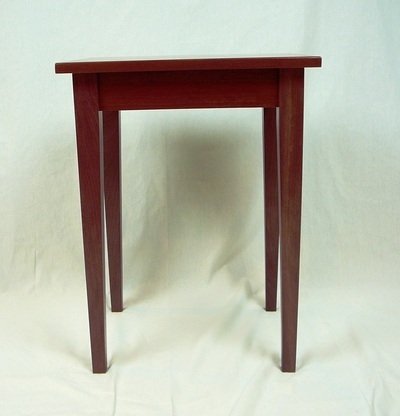 This table is made from solid Jatoba lumber using mortise and loose tenon joinery. The top is 14.5"x14.5" and features an inlaid cocobolo cross. 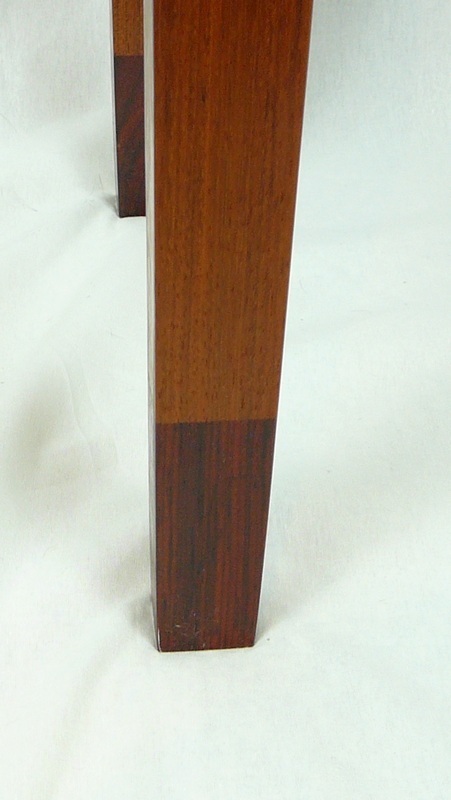 The legs are tapper on the inside faces and end in feet made from cocobolo. There are also fo-tenons at the top of the legs. 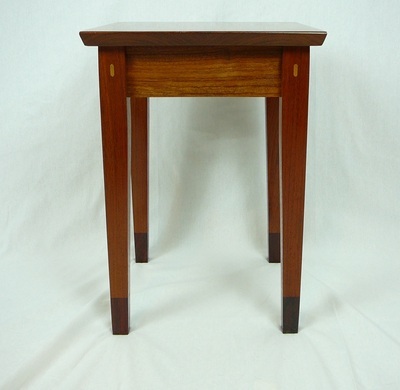 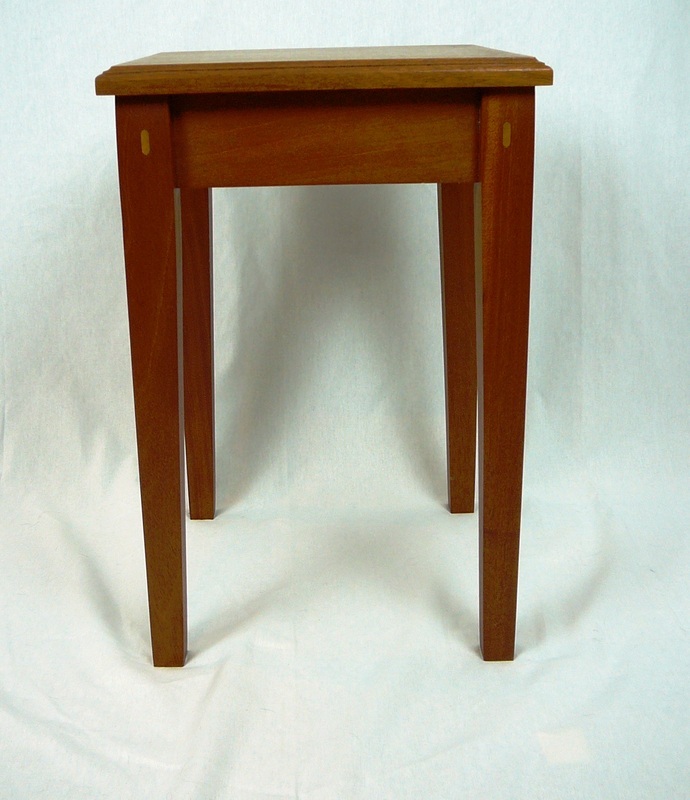 The overall table height is 21" and was finished with shellac and satin polyurethane. 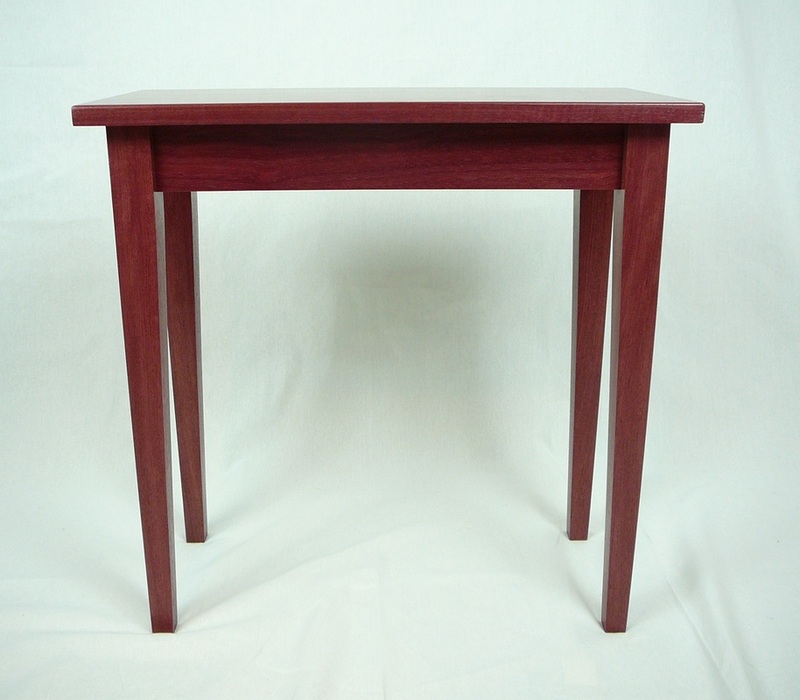 This table is made from solid Purpleheart lumber using mortise and loose tenon joinery. The top is 11"x26", overall table height is 23". 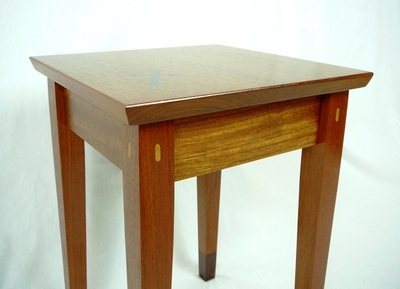 The legs are tapper on the inside faces and was finished with satin polyurethane. This table is made from solid Jatoba lumber using mortise and tenon joinery. 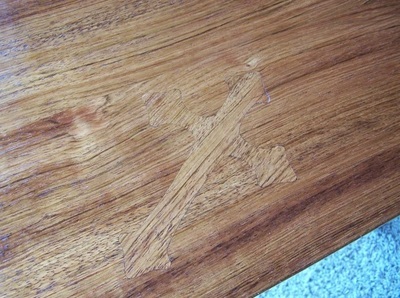 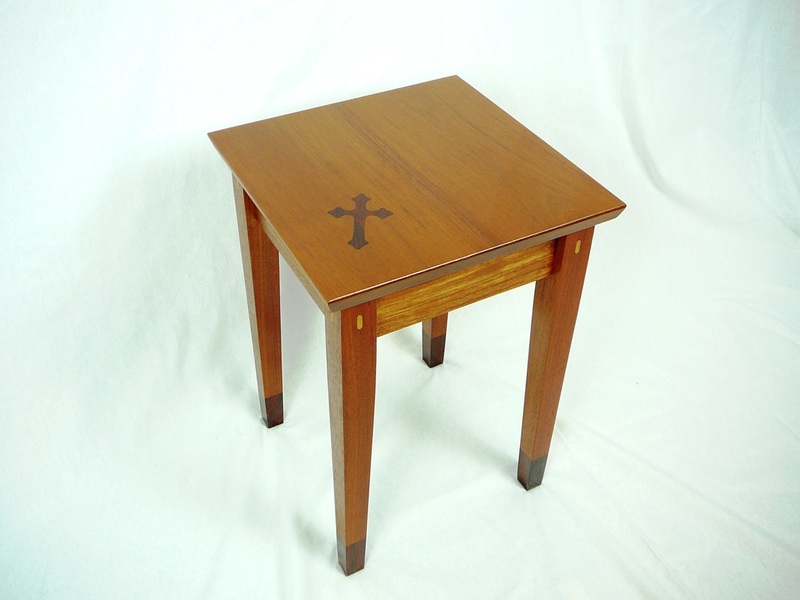 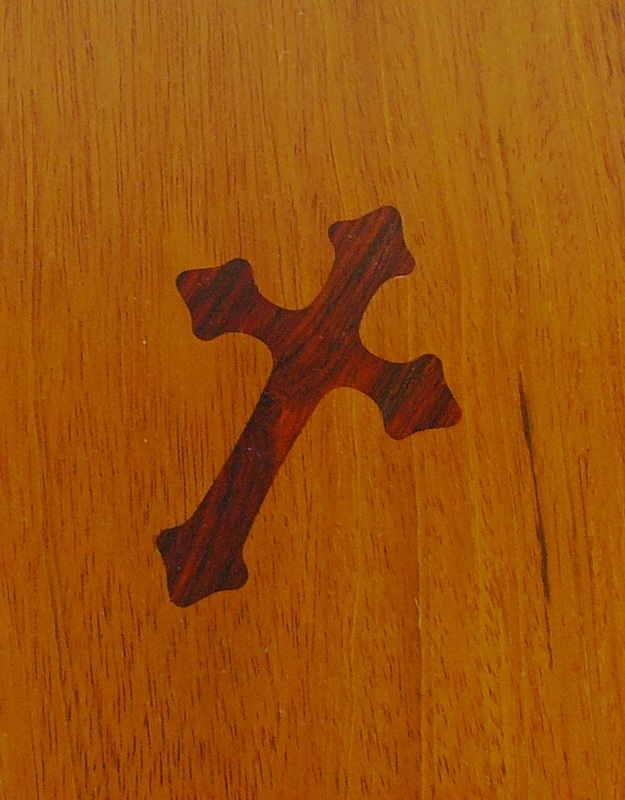 The top is 14"x20" and features an inlaid Jatoba cross. 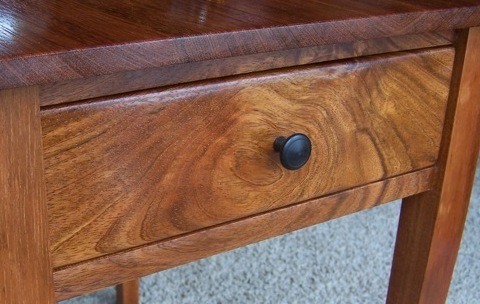 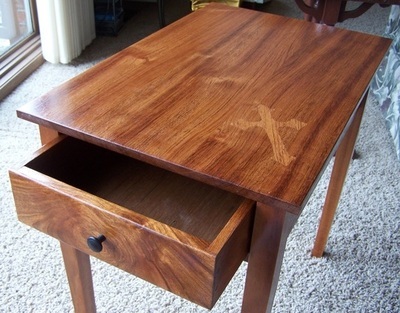 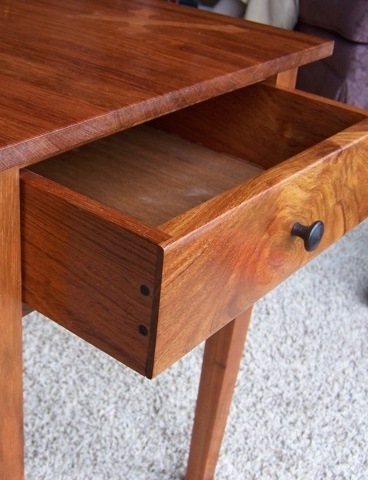 The legs are tapper on the outside faces and the drawer sides are pined with ebony dowels and a hand turned ebony knob. The overall table height is 21" and it was finished with satin polyurethane. 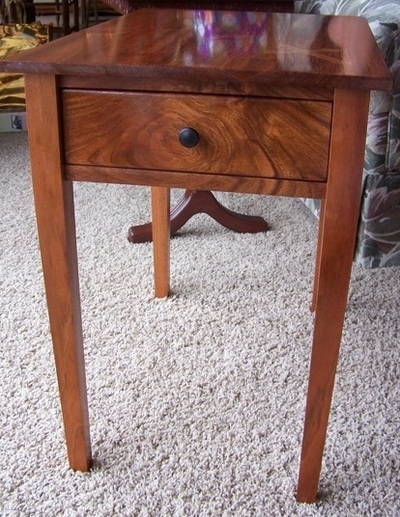 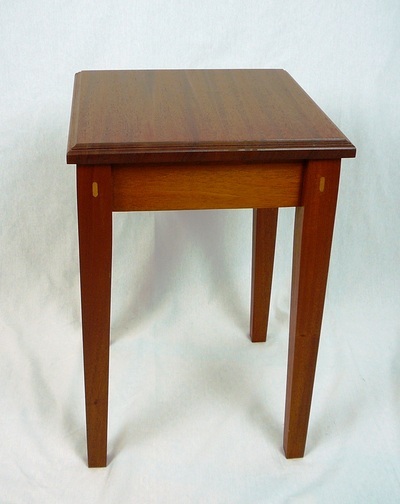 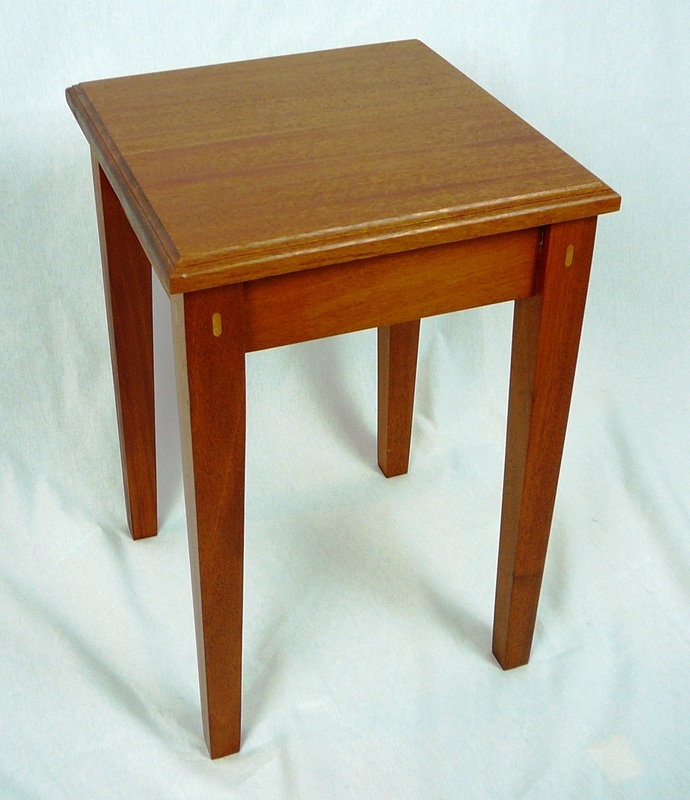 This table is made from solid mahogany lumber using mortise and loose tenon joinery. 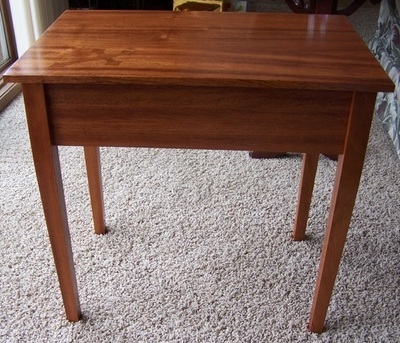 The top is 14"x14" and the legs are tapper on the inside faces. There are also fo-tenons at the top of the legs. 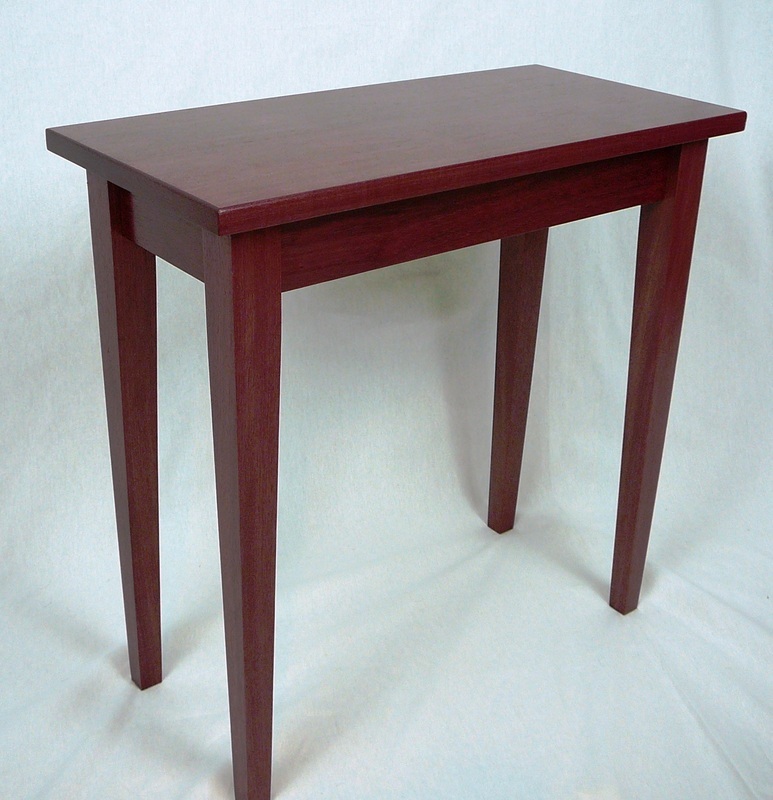 The overall table height is 21" and was finished with satin polyurethane. 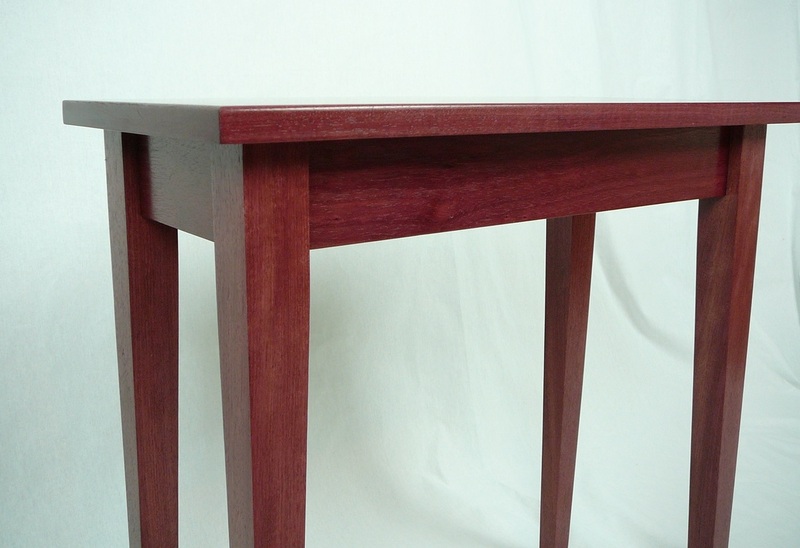 This table is made from solid Purpleheart lumber using mortise and loose tenon joinery. The top is 15"x17", overall table height is 23". 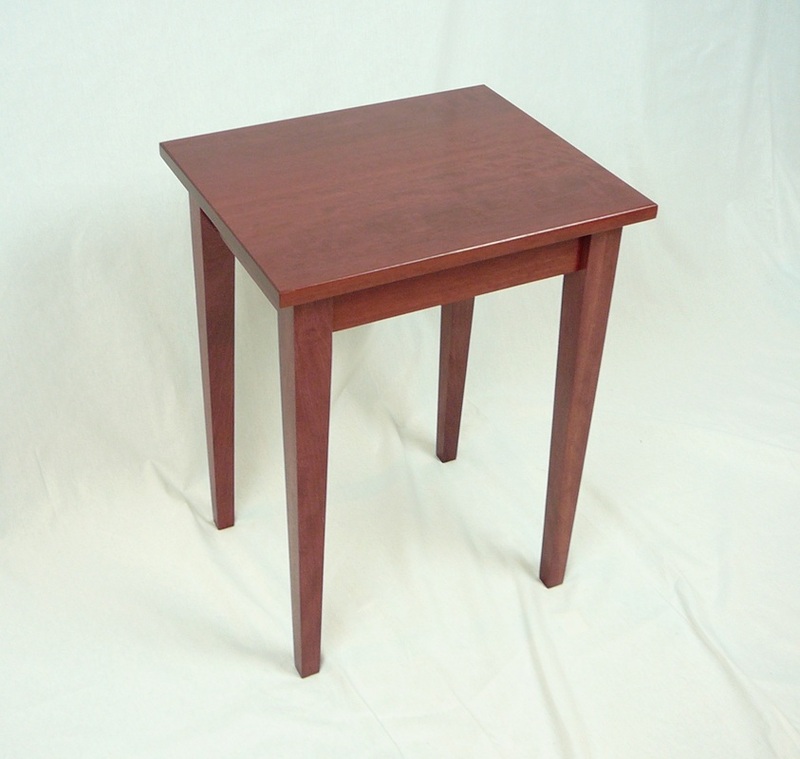 The legs are tapper on the inside faces and was finished with satin polyurethane.